CONTACT US ​TO LEARN ABOUT OUR CURRENT SPECIALS! "busy" means the home is reserved. ​PLEASE NOTE: Rates exclusive of 13.50% tax, resort fee of $25.00/day and property protection fee of $85.00. Resort fee includes unlimited use of the water park for all of the house guests, free wifi and shuttle service to the theme parks. If booking through TripAdvisor, they will add a "booking fee" which is their profit and is not paid to us. 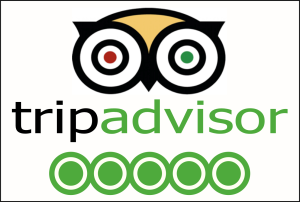 Booking directly through us will avoid the TripAdvisor booking fee. Upon booking, we ask for a $500.00US refundable security deposit and a deposit of 20% of the total quote. The balance is due 8 weeks prior to arrival. If booking within 8 weeks of the arrival date, payment is due in full upon booking. A guests cancellation 8 weeks or more prior to the arrival date will result in a loss of the security and 20% deposits. A cancellation within 8 weeks of arrival will result in no refund. We strongly recommend that you take out travel insurance to cover yourself in the event it is necessary for you to cancel your holiday. Credit card payment is available with a service fee of 3%. Prices are subject to change.